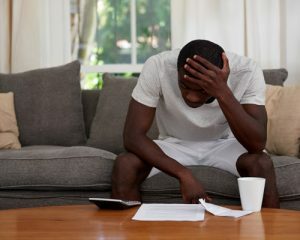 If you are struggling to handle an overwhelming amount of debt — credit cards, taxes, lawsuits, personal loans, student loans or medical bills, and your income is inadequate to handle it all, you may need to call on someone with debt negotiation experience, like Carl Retter, to help take the load off your shoulders. He is an attorney with more than 25 years of experience. Carl can negotiate with your creditors to reduce the total amount owed, delay payments or reduce the amount owed each month. Carl has helped hundreds of clients save millions of dollars by skillful negotiating with tough creditors. As we begin the process with you, Carl will provide legal advice to assist you in determining your best options. We handle every aspect of debt negotiation or resolution including debt settlement, Fair Debt Collection Practices Violations, Fair Credit Reporting Act, Litigation Defense, and Bankruptcy. Fees for such services vary depending on the number of creditors and the complexity of the negotiations. Often Carl can provide debt negotiation service to you for a simple Flat Fee, so that you know what the total cost will be. Carl will schedule a FREE consultation with you at his office before you make a decision and before you are committed to any fee.